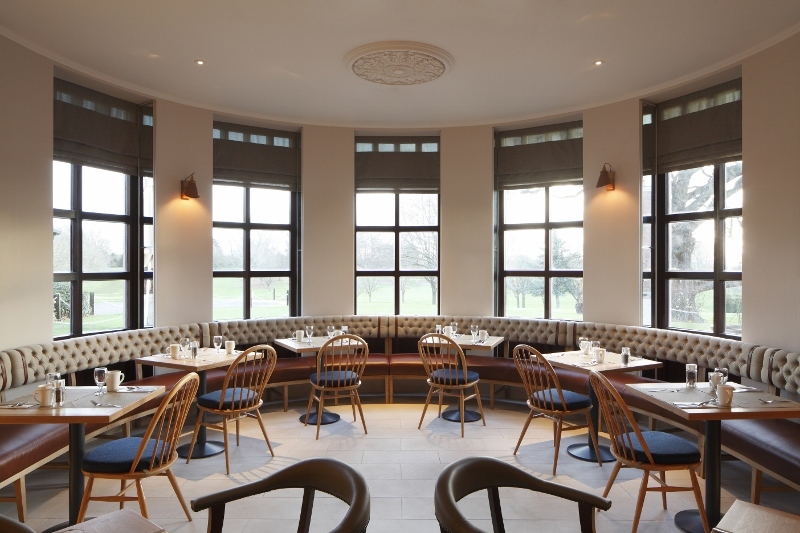 Inspired by the colours and textures of the nearby Cotswolds countryside with a contemporary spin, Hilton Puckrup Hall has completed an F&B renovation that was led by Ian Haigh, creative director Ian Haigh of Central Design Studio. 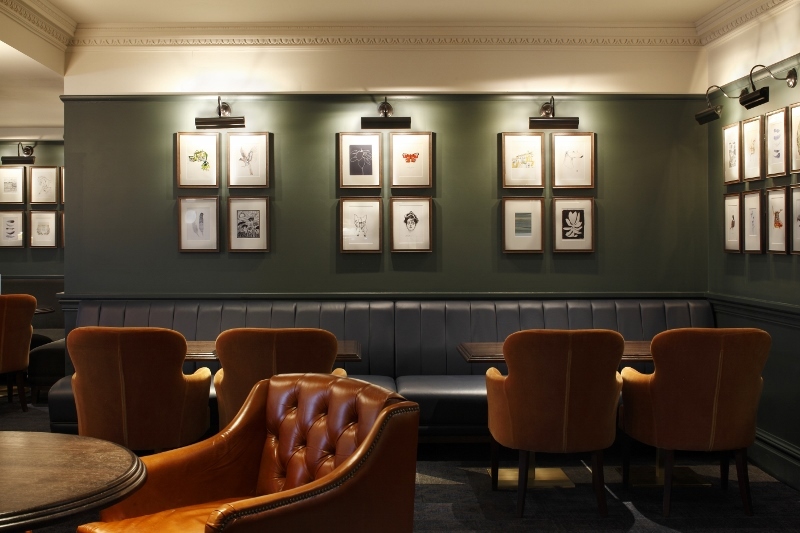 The aim of the renovation was to create a restaurant and bar with a modern, British feel. 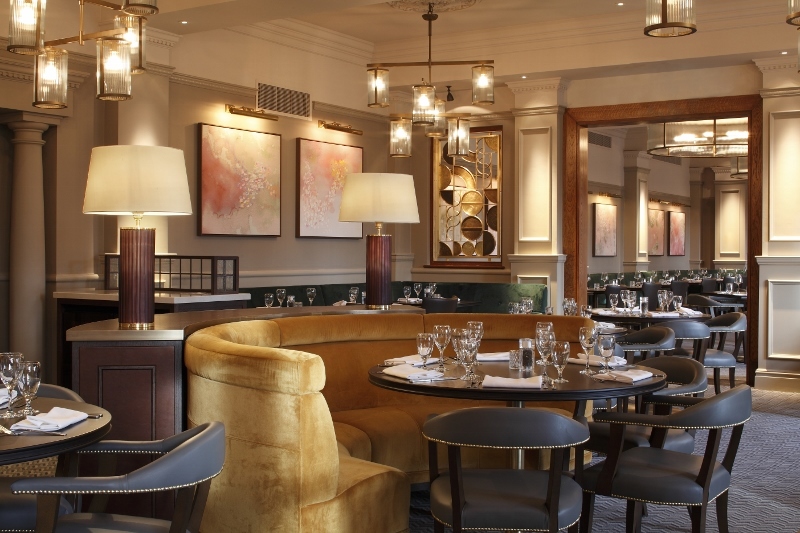 Designed to resemble more of a country house rather than a hotel public area, the restaurant is a celebration of local British produce, without being old-fashioned or stuffy. 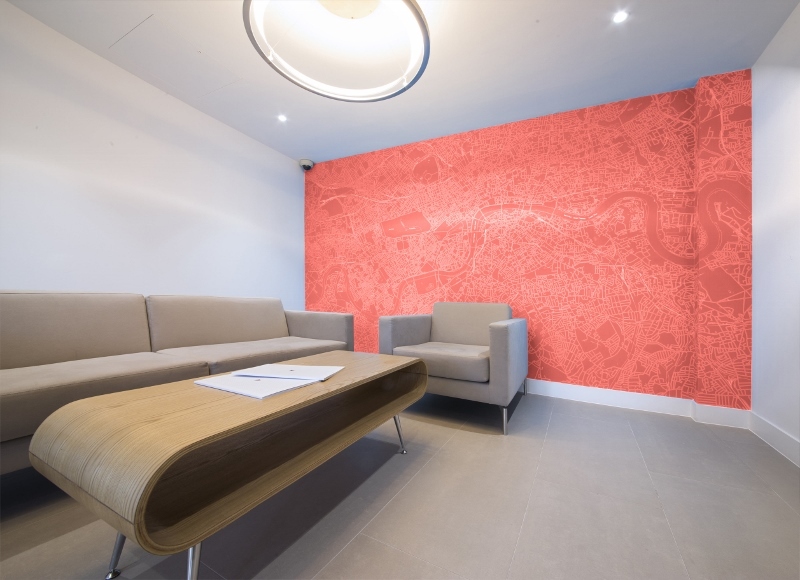 Modern paintings adorn the walls, and quality crafted furniture and upholstery add to the sense of place. The bar has an informal character whatever the time of day. 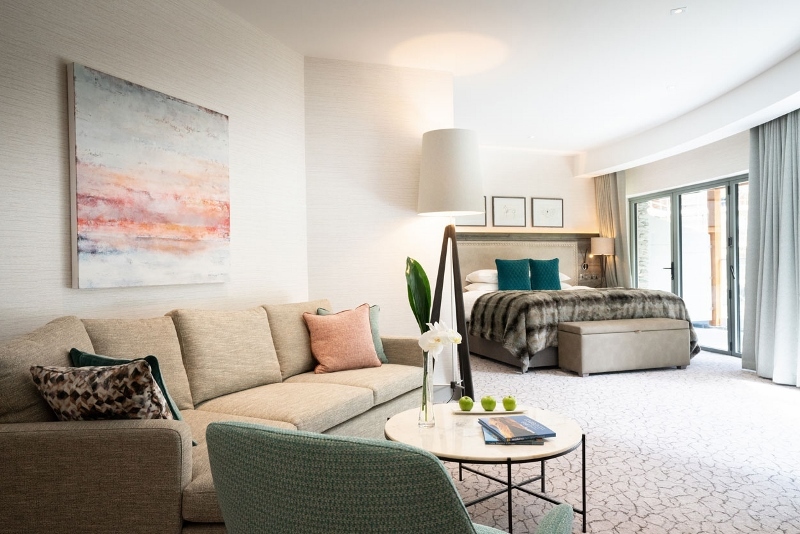 Dark woods and a deep indigo colour scheme complement tactile British fabrics and finishes, again with colourful and curated artwork playing a part. 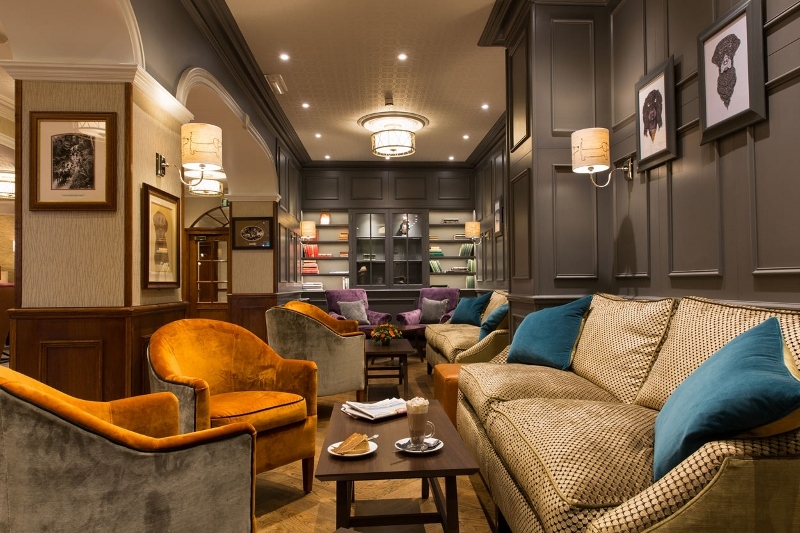 Many of the furniture and lighting pieces were designed bespoke by Central Design Studio, in close collaboration with various artisans and manufacturers in the UK and Ireland. In addition, the artwork was curated and commissioned especially for the project, including the large-format paintings that hang in the restaurant, using up-and-coming illustrators and artists. Accents of lightly antiqued brass add to the sense of familiarity and warmth, and run throughout the whole design. This is highlighted by two large, hand-crafted brass screens made in South East London. Designed by Central Design Studio in collaboration with Creative Metalwork, they are a real feature and talking point and cleverly used to divide up the restaurant space. 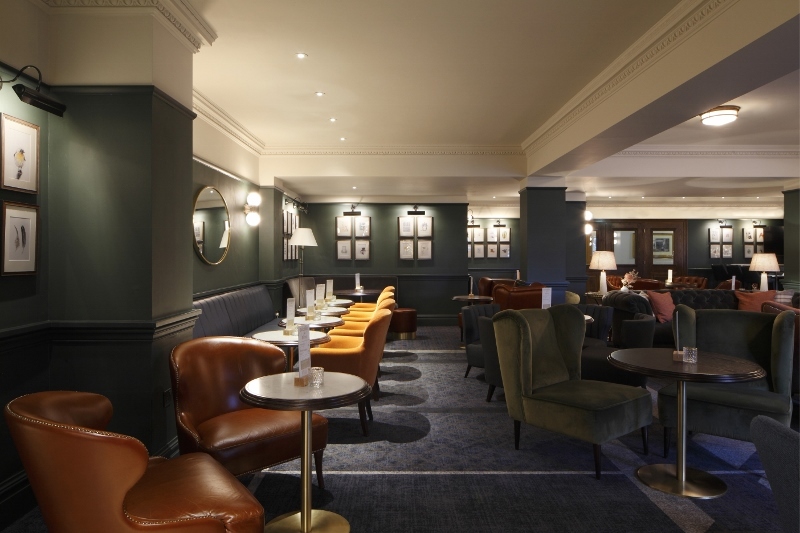 High-quality Axminster carpet was chosen for the floor finish in both the restaurant and the bar, again to a tailored design developed by Central Design Studio and Brintons. The pantry on the other hand, used primarily for breakfast service, has more of a country kitchen aesthetic to it with a limestone-effect floor and lighter colour scheme.